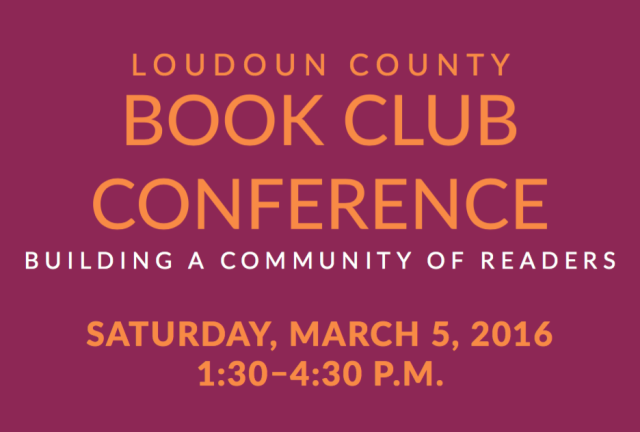 The Loudoun County Public Library hosts “Book Club Conference: Building a Community of Readers” on Saturday, March 5, 1:30 p.m. to 4:30 p.m. I’m very happy to be a featured speaker for the event, offering tips and tactics for running a successful book club conference with a focus on Gabrielle Zevin’s bestselling novel The Stories Life of A.J Fikry. The full schedule follows. For information, visit the webpage here. Discover how to run a successful book club or improve your current club. Learn the best way to moderate, establish ground rules, and choose the right titles. Taylor will use The Storied Life of A.J. Fikry by Gabrielle Zevin as a sample title for discussion. This is not required reading, but will help you get more out of the workshop. Discover how the library can enhance your community book club. Library staff will share information on on book kits, online resources, and favorite titles. Community book club leaders and members are invited to tell others about their own meetings. Sponsored by the Loudoun Library Foundation, Inc.